Migrate from Outlook 2011 Mac to Thunderbird, Apple Mail, Entourage, etc. OLM to MBOX conversion tool allows exporting Outlook 2016 emails to MBOX format along with attachments. Moreover, it does not compromise with the originality of the files. All the files in Inbox, Drafts, Sent Items, and other customized folders can be converted successfully to MBOX format. The OLM to MBOX converter allows keeping the folder structure maintained while saving Outlook 2016, 2011 OLM file to MBOX format. 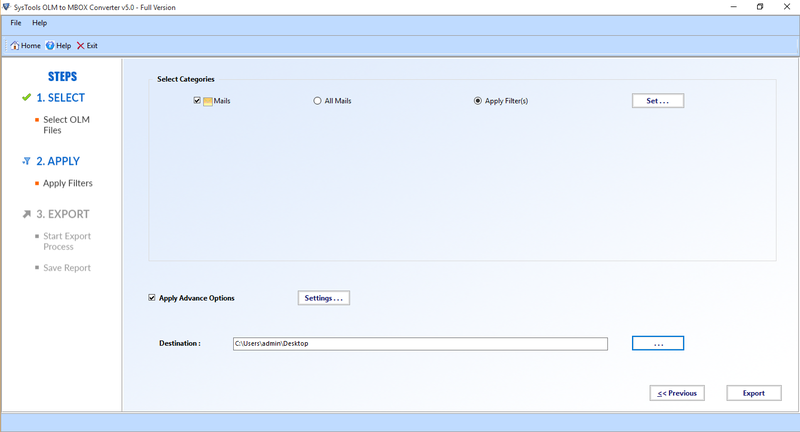 It is an optional feature as user can enable or disable this attribute according to their choice. This option will let users have OLM file data in the same hierarchy as in OLM file. The resultant MBOX file created from OLM to Thunderbird tool can be imported in any of the MBOX supporting application. In addition, a user can open the MBOX file in email clients such as Apple Mail, Netscape, Entourage, Eudora, etc. The software provides users an option to save the resultant MBOX file after conversion at any location. A user is allowed to create new folder also to save the converted MBOX file on Windows machine. Add File: Browse OLM files one by one for batch migration and convert single or multiple OLM files. Add Folder: Carry bulk conversion in one cycle. Add Folder allows to Add the complete folder containing multiple OLM files in bulk into MBOX format. The utility is providing an outstanding feature to export OLM messages of the particular date range to MBOX format. This option will help users to eliminate conversion of unwanted messages and hence, reduce an overall size of MBOX file. By specifying date range in “from” and “to” field, all emails get sorted by a particular range. Mac Outlook OLM to Thunderbird Converter renders a unique feature of mapping folders accurately same as the initial one. For example, the product permits users to map an OLM file Inbox folder with Inbox folder of MBOX file. The resultant mailbox folders can easily opened and viewed using Thunderbird without any difficulties. During Mac Outlook 2016/2011 to MBOX conversion, an export report is also generated. This export report includes the number of email counts, path of the exported saved files, fail count of the emails, etc., about the conversion process. OLM to MBOX converter allows converting all the emails from Outlook Mac 2016/2011 to Thunderbird without any change in the integrity of data. In addition, it preserves all metadata such as to, bcc, email id, etc., even after OLM to MBOX file conversion. Demo Version of Mac Outlook OLM to MBOX Migration Software Converts First 25 Items/Folder into MBOX Format. How Mac OLM to MBOX Converter works? Step 1: Install & Run Mac Outlook OLM to MBOX Thunderbird Converter Tool. Step 2: Browse and Add Mac Outlook OLM file. Step 3: Apply Date-based filters and settings on the data items to export. Step 4: Click on Export button to proceed. Step 5: When Export process completed successfully, all the data items will migrate from OLM file to MBOX format. Step 6: Navigate to the saved location and get the desired MBOX file. Can I import the converted MBOX file in Apple Mail? Yes, the OLM to MBOX converter allows to open and view the converted MBOX file in Apple mail. Apart from Thunderbird, it also allows importing the file in email client such as Thunderbird, Entourage, Turnpike, EarthLink, Berkeley mail, Netscape, PocoMail, Spicebird mail etc. Is it mandatory to have Mac Mail installed on PC for using your OLM to Apple Mail converter? No, our software is the standalone application, which does not require any program installation for its working. What number of MBOX files can be browsed at a time for the bulk conversion? An unlimited number of files can be added to this software. There is no limitation imposed on the product to attempt batch option of it. Does OLM to MBOX Converter allow to export bulk emails stored in single OLM file? Yes, this software allows converting multiple emails from single OLM file. As there is no limitation on number of files to be exported via tool. How can I import resultant MBOX file in Thunderbird email client? 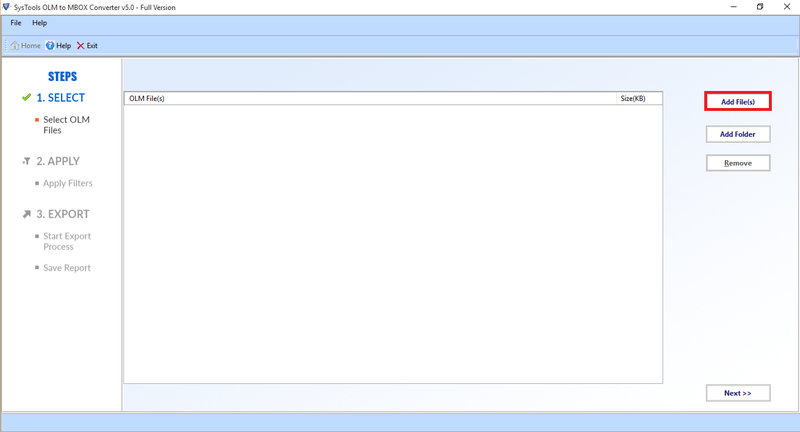 There is no functionality in the software to Import MBOX in Thunderbird. 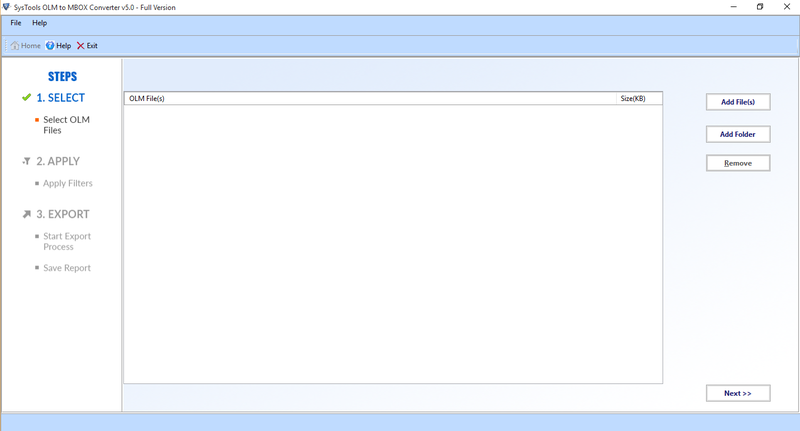 But, FreeViewer is a product named as Thunderbird Import Wizard for adding .mbox in Mozilla Thunderbird. Does the software make any change in the original file after conversion? No, the OLM to MBOX converter does not make any changes in the original file. All the contents in the OLM file will be the same as before. Will I be able to convert OLM to Thunderbird on Windows 10 operating system? Yes, our software is compatible with Windows 10, 8.1, 8, 7, and all below versions. Does your converter support OLM file of Outlook 2016 Mac application? Yes, the Mac Outlook OLM to Thunderbird Migration Tool supports .olm file of both Mac Outlook versions. "I am a permanent client of FreeViewer who uses its migration tool whenever I am in need of the same. Recently, I wanted to move OLM files of Outlook 2016 to Thunderbird and hence, utilized this product for the same. The best thing I liked about this application is the performance speed and simplicity. Without any complications, I was having MBOX file on my system that I imported in Thunderbird. Thanks guys for delivering an error-free migration solution in this competitive market!" "The Mac Outlook OLM to Thunderbird Migration Software is the best application for switching from Outlook 2011 to Thunderbird. I operated many products for the same but, none of them were giving the guarantee of maintaining data integrity. But, when I came across this product, it not only speak words for holding data integrity but, also practically implemented it through its working. The email format and folder structure both remain same after the conversion too. Nice work! FreeViewer"
"It was really a difficult task to migrate data from Mac to Windows. With the help of OLM to MBOX Converter Tool, I was able to migrate data from Mac Outlook to Thunderbird email application. The tool is simple and it works effectively. It takes very less time to perform the migration process. Thanks for such an amazing tool! " 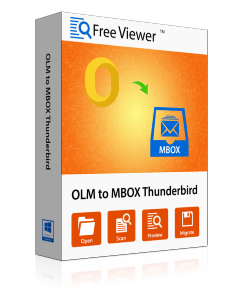 "The Mac Outlook OLM to Thunderbird MBOX Exporter Software works really smooth and great. As a non-technical person, I am also able to understand the working of the tool. The interface of the software is very simple that allows me to perform the migration process with so much ease. I must say the tool is great!" "Such a brilliant application. Having low technical knowledge I was worried about the process to be followed. But with the help of technical support, I was guided that helped me to easily convert the OLM files into MBOX format." "I was confused with the various paid application available to convert the OLM files. Later I came across OLM to MBOX converter suggested by my friend. I would call it a one-stop solution which helped me to access the converted files in various email clients such as Thunderbird, Apple Mail, and Eudora." "I never thought that conversion of OLM files to MBOX would be so easy. It makes me possible to convert the files using this software. Extremely thankful to the development team for their hard work to establish this tool. I would definitely be recommended this tool to my friends!" "This conversion tool is so easy that any user can rely on it. With its simple user interface helped me to manage things without seeking any help. I would suggest this tool for users looking for OLM to MBOX file conversion."